Earlier this month, French President Emmanuel Macron spent 36 hours in Australia before a three-day visit to the French territory of New Caledonia. While in Sydney, Macron signed several agreements with Australian Prime Minister Malcolm Turnbull aimed at establishing closer ties in the fields of defence, agriculture, energy, and cybersecurity. During the visit, I was solicited by the media to talk about the purpose of Macron’s stopover. To my surprise, the main question I was asked was whether his visit had anything to do with a “broader Australian strategy” to counter the rise of China in the region. To me, this question missed the point. Macron’s trip to this part of the world was primarily a commemorative one to New Caledonia, ahead of the November referendum on independence. Yet the narrative behind this confusion is clear enough. China is indeed a growing player in the Pacific, as the Lowy Institute’s Chinese Aid Map has identified, and is also Australia’s largest trading partner in terms of both imports and exports. Australian media have taken considerable interest in China’s engagement in the Pacific in recent months, with numerous front-page stories in both The Australian and Fairfax. Clearly, anxiety about China’s engagement in the Pacific is on the rise in Australia. In this context, it is easy for the media to portray Turnbull reaching out to Macron as a potential partner that could help balance regional powers and avoid the rise of new “hegemony”. Australia and New Zealand, and to a lesser extent Japan and the US, are the predominant “traditional” powers in the Pacific. Drawing more “like-minded” (i.e. democratic) countries together is clearly appealing. France is an obvious target for a number of reasons. It is the only European country in the Pacific with both a territorial and a military presence, and the French defence firm Naval Group (formerly DCNS) has a $50 billion agreement to deliver a fleet of 12 submarines to Australia between 2030 and 2050. There are reasons, however, for caution. French engagement in the region has mostly been limited to its own territories, rather than spread around other Pacific islands countries. For instance, despite being a member of the FRANZ group, there is no trace of France’s engagement in the crisis that hit the Pacific, in regional military and police operations to Solomon Islands or Bougainville. The French territories were only accepted as members of the Pacific Islands Forum in 2016, and regional integration between the territories and 14 sovereign nations of the Pacific has in many ways only just begun. While France has the third-largest diplomatic network in the world, it maintains only three posts in the Pacific islands. With respect to foreign aid (a common tool used by Western countries to engage with Pacific nations), an upcoming Lowy Institute study will show that France ranks 13th in terms of official development assistance in the region – a lowly result given the strong concentration of donors in the Pacific. Over the past seven years, France has spent more than US$129 million in the region beyond its territories, which is less than 1% of total aid region-wide over that period. While such engagement is important, France’s commitment pales in comparison to that of Australia, New Zealand, Japan, the US, or China. It is true that the European Union, to which France is a significant contributor, does more in the region, but the limited bilateral engagement is notable. The limited scope of France’s engagement with the Pacific is surprising given the country also has a good story to tell. Since the end of nuclear testing in French Polynesia in 1996, and the Matignon agreements which avoided a civil war in New Caledonia, France has been seen as a stabilising factor in a region where newly independent states are often characterised by their political instability and poor economic performance. France’s management of the New Caledonian referendum process to date has been in many ways laudable. Undoubtedly, Chinese capabilities are growing in the region, and China will continue to expand its power. But France should not set itself as the opponent of Beijing. Rather, France needs to get more involved in regional organisations, such as the Pacific Island Forum, to figure out – along with Canberra, Wellington, and the Pacific island governments themselves – how China can also work to integrate within the existing regional architecture. This is the role that France should look to play if it is indeed serious about engaging in the broader Pacific. Much like in Australia, thinking in the Pacific is quite far from that of most senior policymakers in Paris. The media was quickly distracted by interpreting Macron’s thanks to Turnbull and his “delicious wife” Lucy. 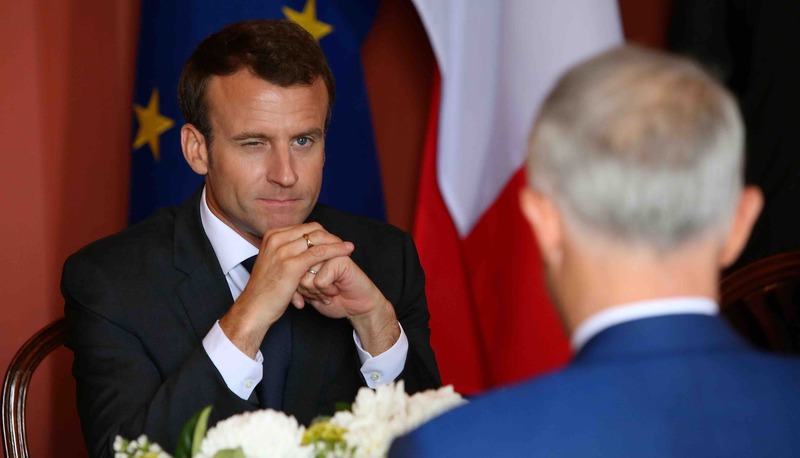 But beyond the exchanges, new agreements, and contracts between Paris and Canberra, Macron’s visit has reminded France of its maritime space, the second-largest in the world thanks to territories in the Pacific, which have been ignored for too long. This, to me, is the key consequence of his visit.